Royal Enfield has announced its fifth edition Tour of Rajasthan. The ride is set to begin from December 12, 2015, and riders will be riding for nine days. Riders will be covering over 2,100 kilometres through various terrains and face different challenges in Rajasthan. The fifth edition of Tour of Rajasthan is expected to witness over 300 riders participation. Royal Enfield owners will commence their journey from Jaipur and will travel across the Thar Desert providing an unique experience. For the very first time, riders can bring along a pillion only for this tour. Love for pure motorcycling is the philosophy followed by Royal Enfield. Riders from all over India will be coming together for an experience like never before. The tour promises an exciting ride along with an immersive cultural experience as well. 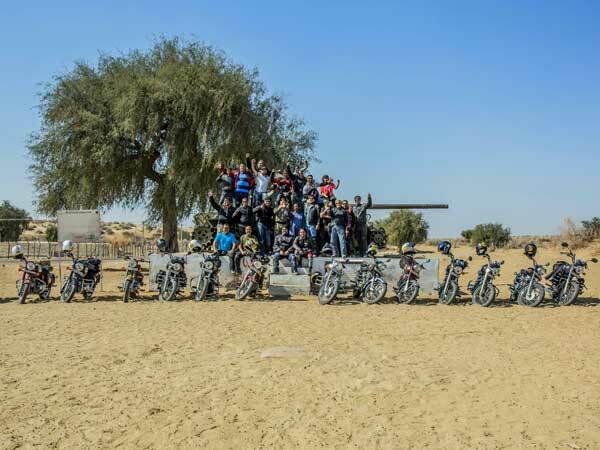 A special visit to Bullet Baba in Pali is also being organised for the Royal Enfield riders. The motorcycles will also pass through the battlefields that were used in 1971 war. Tour of Rajasthan has been designed to test Royal Enfield motorcycles as well as their owners. The Tour of Rajasthan is organised exclusively for Royal Enfield owners. A variety of Royal Enfield motorcycles will be taking part in the ride. Registration for Tour of Rajasthan has commenced and limited seats are available. Royal Enfield organises several events for its riders and fans in India as well as in international markets.